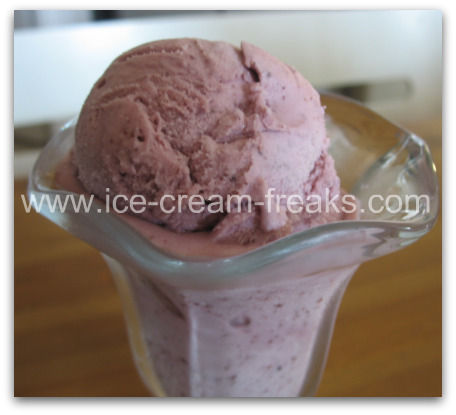 This berry easy ice cream recipe was made using very simple ingredients. You can make this ice cream using just about any berry jam you want. I used boysenberry for mine. Blackberry is also delicious. Maybe you received some homemade jam from someone or you have some of your own that's sitting on the shelf waiting to be used. This is a great way to use it. Yummy homemade jam is not just for fresh baked bread! You might also enjoy this easy ice cream recipe as a sundae with fresh berry topping.